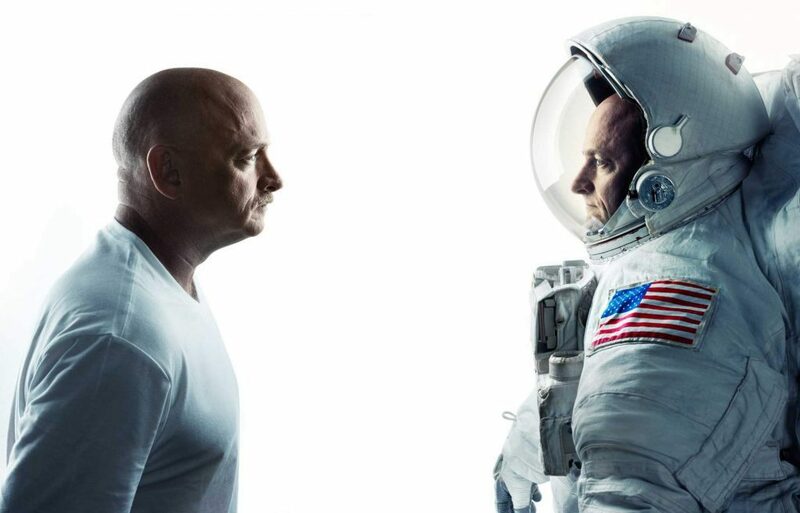 Preliminary results of NASA experiments involving twin astronauts Mark and Scott Kelly suggest long-term exposure to microgravity and spaceflight have significant effects on the human body. For instance, living in space changes a person’s biology and even gene expression. Scott Kelly spent 340 consecutive days onboard the International Space Station between 2015 and 2016. His brother Mark, also an astronaut at NASA, was during that time retired and stayed put on Earth. Seeing how the two are both identical twins and astronauts — obviously a rare occurrence — scientists seized the opportunity to study what effects microgravity might have on the astronauts’ biology. Samples were collected from both twins before, during, and after Scott’s stint at the ISS. NASA has yet to release the official results but preliminary work published in Nature already found the two twins diverged genetically. “Almost everyone is reporting that we see differences,” Christopher Mason, a geneticist at Weill Cornell Medicine, said at the 2017 NASA Human Research Program Investigators’ Workshop in Galveston, Texas. Specifically, researchers found Scott’s telomeres – the protective lids that line the end of DNA strands, like shoelace caps – were longer than Mark’s. Telomere length is associated with longevity as each cell division shortens it. Eventually, telomeres get too short to do their job, causing our cells to age and stop functioning properly. Now, Scott’s telomeres have returned to their original length before the astronaut reached microgravity. However, no one knows for sure what biological mechanisms caused this telomere lengthening. At the moment, NASA astronauts are being screened to see if there’s a pattern. That’s not all. During his floating stay in microgravity, Scott experienced less DNA methylation – the primary process responsible for making epigenetic changes in the body, i.e. activating or deactivating genes in response to environmental cues. Meanwhile, his brother Mark showed an increase in DNA methylation. Again, no one is sure why. Of course, despite they’re identical twins, Scott and Mark Kelly will naturally diverge in gene expression during their lifetimes. That’s completely normal, as gene expression changes function of the environment, i.e. what you eat, what you breathe, etc. However, Scott’s genes showed a much large change in gene expression than normal. NASA wants to send humans to Mars by 2030 so the American space agency is deeply concerned with the effects such a long trip has on the health and wellbeing of its astronauts. Interplanetary space is a whole different ball game, though. Besides the yet unclear effects of weightlessness on biology and genes, there’s also radiation to worry about – both interplanetary and on the Mars’ surface — which can incur brain damage.